This was taken on July 1…nice to celebrate Canada Day by taking pictures of a quintessential Canadian landscape! I’d forgotten about these pics until a few days ago when I was looking for pictures to go with my last post. This is Spectacle Lake in Algonquin Park in Ontario. This was just a one night stop at Spectacle Lake Lodge on a trip to Quebec City in 2010. It was a beautiful, peaceful evening and the lake was so calm. I remember thinking it would’ve been nice to spend more than one night there and sit in one of the Adirondack chairs on the beach and just spend a day reading. Departure to Hartley Bay to meet boat was delayed due to fog – but made for a pretty picture. fog lifts – almost ready to fly! eek…a little nervous to get on such a small plane! Once we arrived in Hartley Bay, British Columbia to meet the boat, Great Bear II, our adventure in the Great Bear Rainforest took us through some of the most spectacular scenery one could ever hope to see. It was nature at its best and I feel so lucky to have witnessed it. My country is truly an amazing place. 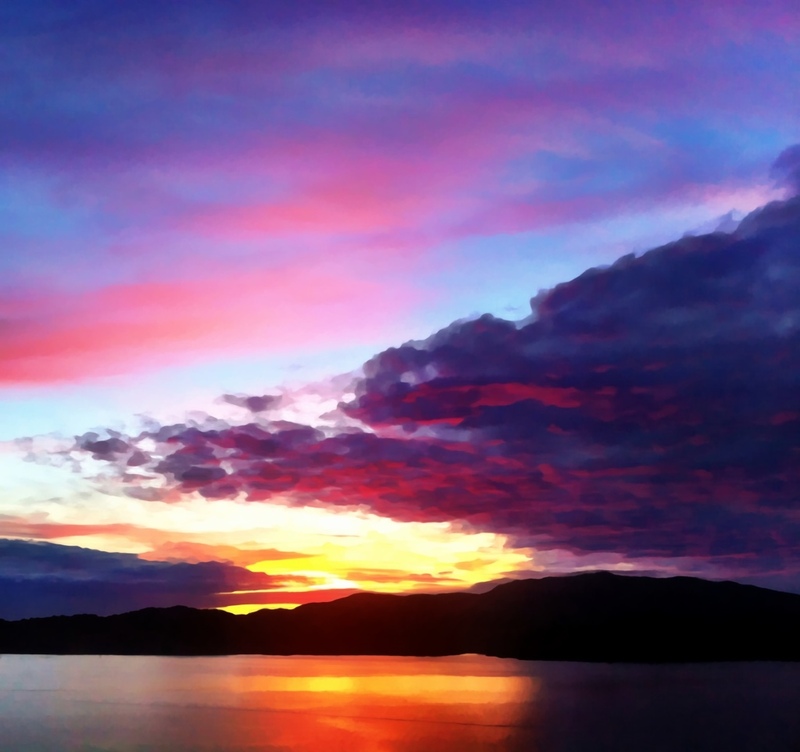 After a day of flying on Sunday…Regina to Calgary to Vancouver to Prince Rupert this sunset was the reward. Tomorrow is the seaplane trip to meet the boat at a small aboriginal fishing village called Hartley Bay. Hopefully the next week will include lots of wildlife viewing and great weather to enjoy the amazing scenery. My big trip is about a week and a half away…I’m excited and a little nervous, but mostly I’m just looking forward to seeing some amazing scenery, and experiencing a part of Canada that not many people know about. I like the West Coast, especially Tofino and Ucluelet on the West Coast of Vancouver Island, but I didn’t know much about the Great Bear Rainforest, which is called Canada’s Amazon. I wanted to do something a little out of the ordinary to celebrate my 40th birthday, and when I found this trip, I thought it would be a once in a lifetime experience. That was back in November, and then in mid-January, the trip was booked. And now it’s a week and a half away! The geese have returned to Wascana Park in droves as they do at this time of year, every year. Every June there are so many geese in the park, that a good number of them are rounded up and transported elsewhere. But they must be wondering what the heck right now. Snow! Cold! Only small pockets of open water on the lake! What? I took these pictures on Good Friday, and unfortunately, not much snow has melted since then. In fact, snowflakes are lightly falling as I type. This has to be the longest winter ever. My birthday is later this week and I can’t remember the last time there was snow on my birthday – three years ago, it was a beautiful +24 degrees celsius! This year, I’ll be lucky if reaches +5. I suppose, a slow melt is better than a fast melt because of flooding worries, but I’m tired of wearing socks, and long for sandals and bare feet. And the geese must be tired of being cold.